2012 ASEAN Drawing Contest To celebrate the 45th anniversary of Association of Southeast Asian Nations (ASEAN) on 8 August 2012, the ASEAN Secretariat is organizing the “ASEAN Drawing Contest” from May to July 2012. Themed “ASEAN: One Community, One Destiny”, the Contest is open to young nationals from the ten ASEAN Member States in two categories: between the ages of 6-12 and 13-18. The contest will first be held at national level, and then regional. One best drawing from each age category from each Member State will be entered into the region-wide contest which will be conducted through the ASEAN Secretariat Facebook page. Most favorite drawings will be selected by the public using the “like” button on Facebook in both age categories. The most “likes” received in each category will be announced at the end of the contest. The drawings must correspond to the contest theme, and be original and authentic works by contest participants. Please include a title and a short caption for your drawing. The region-wide winner of each category will receive certificates signed by the Secretary-General of ASEAN, a cash prize of US$500, and ASEAN books and souvenirs. National-level winners will receive certificates of participation and prizes equivalent to US$100. 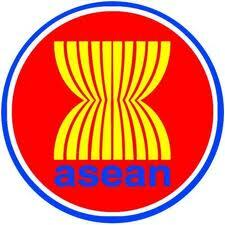 Be a part of the ASEAN Drawing Contest and submit your drawings to the Office of ASEAN Affairs (ASEAN-Philippines National Secretariat), Department of Foreign Affairs, Pasay City before 6 July 2012. Please click here to download the documents.